Get inspired with the Online show on Giulia TV! Learn more about the mind-body-soul alignment and enjoy a variety of videos that will teach you exactly what you've always wanted to know, how to live a truly happy life that you deserve! INSPIRATIONAL EXPERIENCE THE JOURNEY TOWARDS YOUR HAPPIEST, HEALTHIEST AND MOST MINDFUL YOU. GIULIA TV will provide you with videos that will guide you through the most radical adventure of all, the one defining our times: the “YOUNIVERSE” trip: The Inside & Soul frontier. Here you will find the answers that will help YOU transform your life (really! It’s true!). 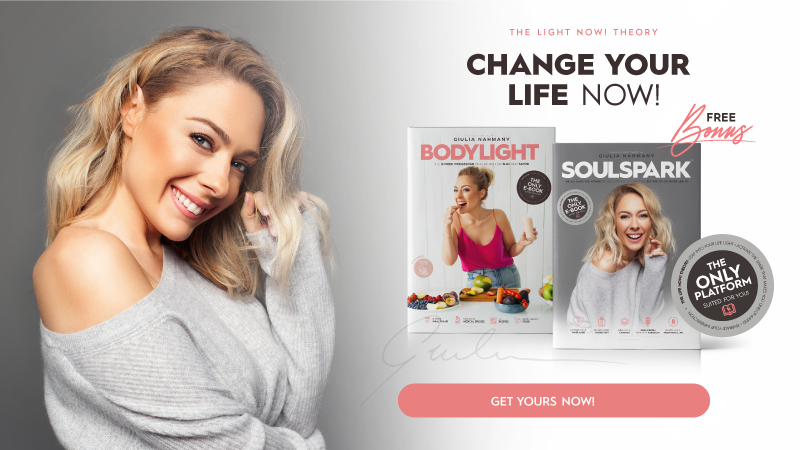 Whether you’re looking to reconnect to yourself, learn to nourish your body, or how to transform your DREAMS into REALITY, here’s where you’ll experience the journey towards your healthiest, happiest and most mindful YOU!